Divorce—By Mutual Consent—After filing of joint petition wife did not turned up or conveyed has intentions—Keeping in view the conduct of wife and irretrievable break down of marriage petition u/s 13-B allowed in absence of wife. Comments Off on Divorce—By Mutual Consent—After filing of joint petition wife did not turned up or conveyed has intentions—Keeping in view the conduct of wife and irretrievable break down of marriage petition u/s 13-B allowed in absence of wife. 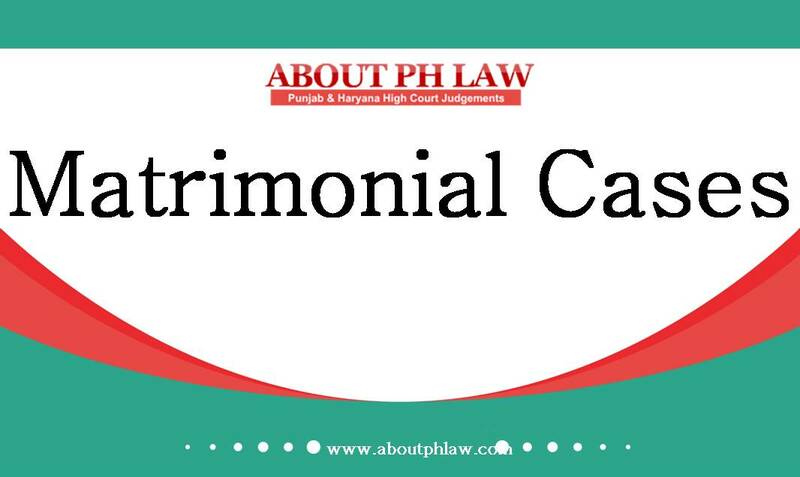 Divorce—By Mutual Consent—It is not mandatory for the parties to appear in person in court at the time of filing of petition and also at the time of second motion—The attorney can be authorised to appear. Comments Off on Divorce—By Mutual Consent—It is not mandatory for the parties to appear in person in court at the time of filing of petition and also at the time of second motion—The attorney can be authorised to appear. Divorce—By Mutual Consent—Payment of amount as compromised not a ground to waive off statutory period. Comments Off on Divorce—By Mutual Consent—Payment of amount as compromised not a ground to waive off statutory period.